stars - Based on 11 reviews. 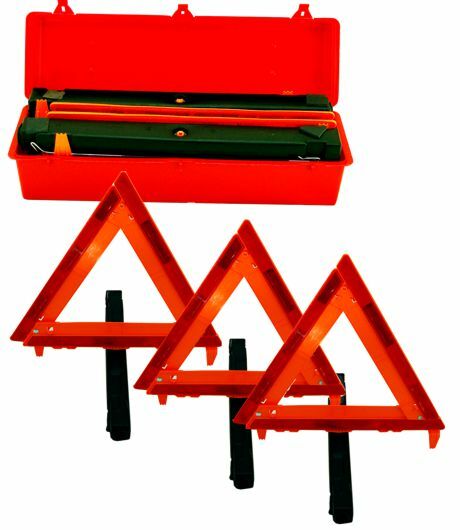 Easily deployed and stored, these florescent triangle emergency road flares are designed to meet or exceed all DOT and FMVSS 125 standards. 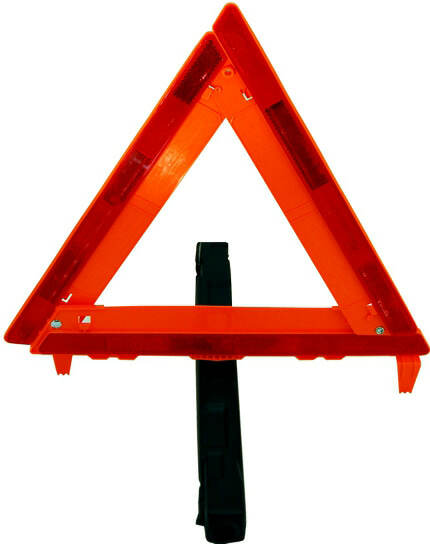 Acrylic plastic strip reflectors have a permanent seal against dust and moisture damage. Ballasted, blow molded tube with non-slip foam pads provides a study base. Wire controlled tilting. Holds up to storms and extreme winds. Bright red carrying case with handle included. 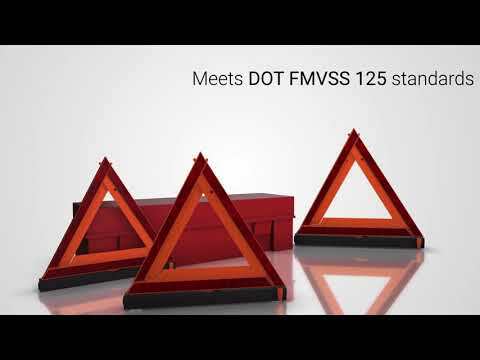 Meets or exceeds all DOT FMVSS 125 standards - Made in U.S.A. Perfect...completely as described and just what we needed for traveling (just in case). Hopefully it will never come out of the case. Everything is neatly packed and ready for use. Delivery was fast! Price was Great! Item received as described and advertised. Fast shipment. Quality product. Would buy from them again and would also refer to others. Happy. They delivered quickly and the product was what I needed. Awesome.When I ordered it it got here on time. The Traffic Safety Store had exactly the items we needed both for our vehicles and garage. They filled and shipped the orders promptly and there were no issue in delivery. Will return to this vendor when we need additional safety items. "Great price, great product, super fast shipping!" Item exactly as expected and shipping was extremely quick. Very pleased with experience. Thank you. Hands down... you had the easiest way to order and the best price!